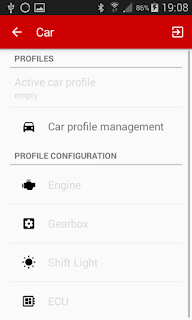 When the app launches for the first time, it loads default car profile. 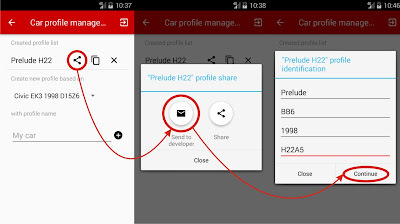 First step you need to do is choosing a car profile from the profile list. 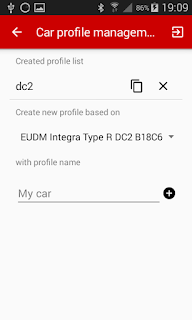 Choose one of the pre-defined profiles, enter desired name and tap the button with the icon "plus"
If there's no pre-defined car profile for your vehicle, choose one that closely matches yours and proceed with editing car parameters to match your car specs. 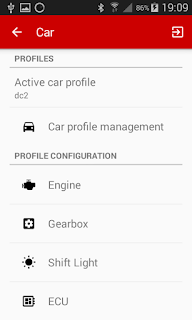 Engine and gearbox parameters can usually be found in service manual or you can simply google it. 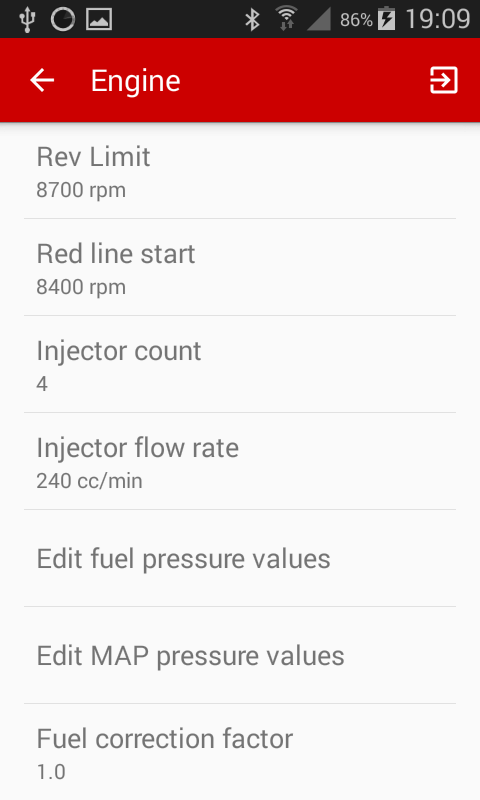 In engine preference screen, edit the rev limit, red line start, injector count to match your car specs. 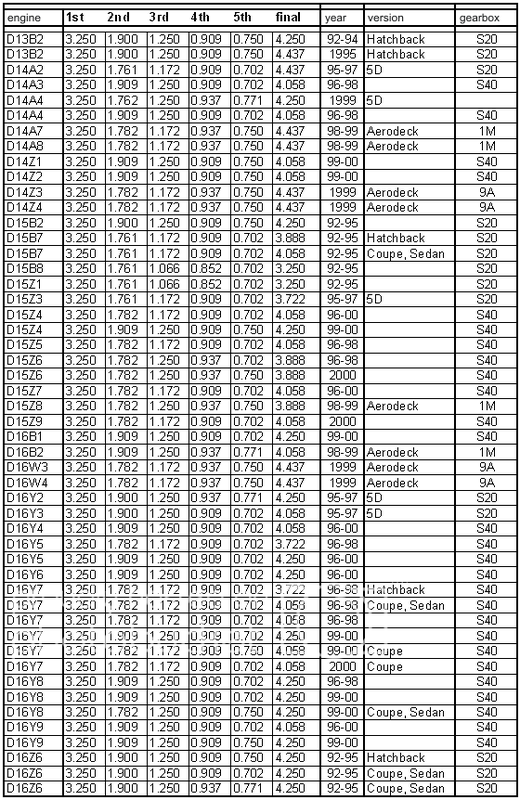 The Fuel correction factor can be determined automatically via Fuel consumption calibration procedure. 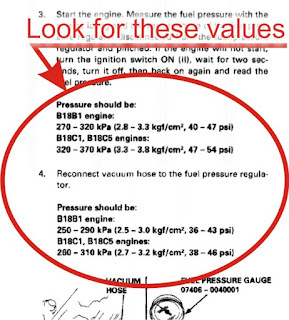 Fuel pressure values - influence accuracy of fuel consumption calculations, you can find these parameters in Honda service manual. 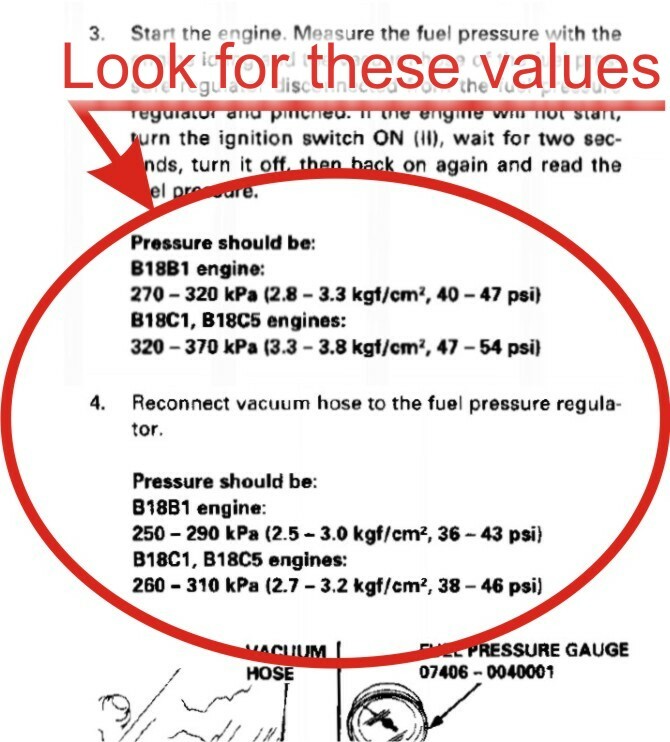 you'll find two ranges for fuel pressure, one at low engine load (vacuum hose connected), and one at high engine load (vacuum hose disconnected). 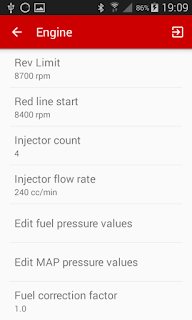 In this example using B18C5, it's 260-310kPa for min fuel pressure, and 320-370kPa for max fuel pressure. 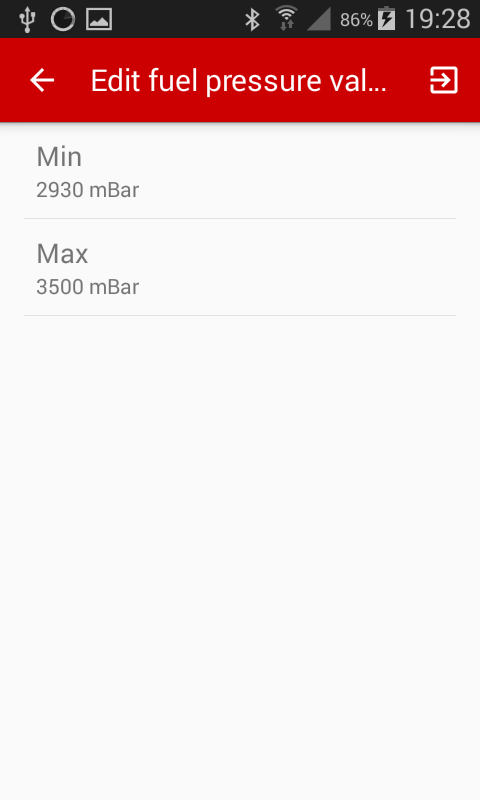 because the range is very wide we need to take average values, in this instance it would be 285kPa (2850mBar) for min fuel pressure and 345kPa (3450mBar) for max fuel pressure. 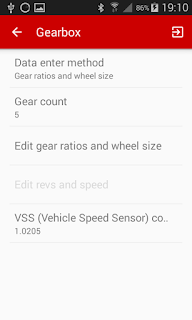 In gearbox preference screen modify all gearbox parameters and wheel size accordingly. 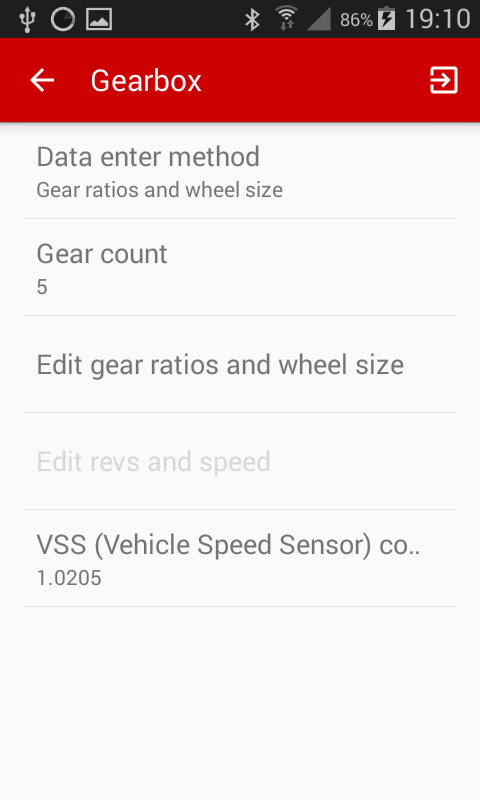 The VSS (Vehicle Speed Sensor) correction factor can be determined using the Speed calibration tool, available in App toolbox. 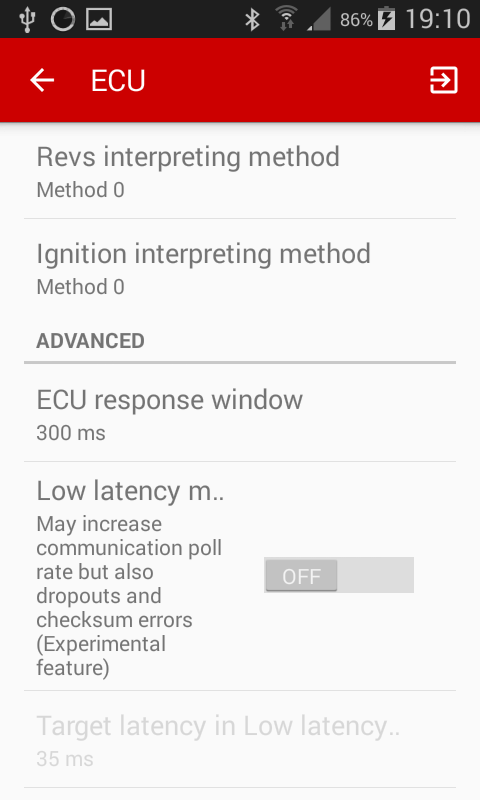 On ECU preference screen, select the appropriate interpretation method for engine revs and ignition calculations. 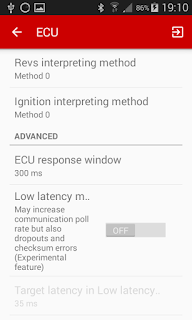 select the method that gives you correct rev readings, in case you're getting strange readings such as rev needle moving backwards, etc. There are 3 possible methods to calculate engine rev value, depending on the car's Ecu, usually OBD2A method 0, OBD1 method 1 (e.g. Ecu P28 requires method 1 to display engine rpm correctly). 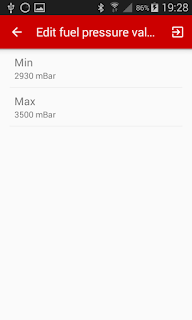 select the method that shows approx. 16 degrees at idle. You can submit a fully configured profile to developers so it can be added to the profile database. 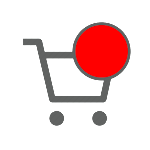 Only profiles for factory stock cars will be accepted.